Well known amongst the thrash and larger metal community, Chuck Billy needs little introduction. Testament was and has continued to be one of thrash metal’s most celebrated acts, and one that has stuck with metal for the test of time. But Billy has also ventured outside of metal into other avenues over the years. Most recently, he partnered with Lord Vaper Pens in designing The Chief, which has recently evolved (under new management) into a line that includes multiple vaporizers (ORDER HERE). 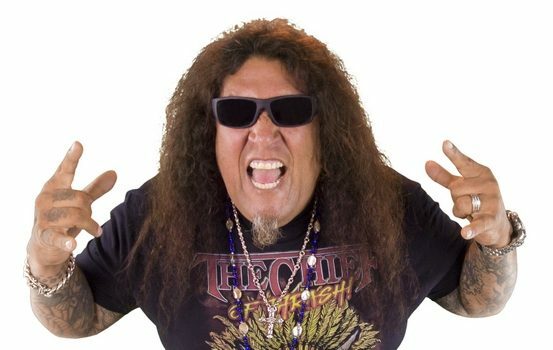 We got Billy’s thoughts on going into the vape pen avenue, as well as discussed some of his thoughts on the state of metal, thrash, and Testament’s continued role. Dead Rhetoric: What initially drew you towards the vape business, as this started a few years back? Chuck Billy: A friend of mine started the Lord Vaper Pens Company. It was when it was fairly new into the market, so he asked me and I was definitely interested. He was only talking about a vaporizer at the time. He decided to sell the company a few years ago and the new owner approached me as they wanted to keep The Chief line. But we wanted to make some improvements. The battery life is an improvement over the first edition. The mouthpiece is now a magnetic glass tube. The other mouthpiece tended to break over time. They are now much more convenient in the palm of your hand. The battery is interchangeable so you can get spare batteries. We also did an oil cartridge vaporizer, which you can use THC or CBDs. That one is called The Dreamcatcher. That one works really well, because you treat it like a zippo lighter. It really protects the cartridge – the zippo lighter cap. I haven’t really seen that type of a product on the market. That’s been my favorite, and the battery life is amazing. Again, battery life has improved over the years and it goes about 10 days before needing a new charge. So that one is my favorite on the road, for just the convenience of it. The final one is The Tomahawk, which is basically a cone-shaped pipe. It has a built in lighter that you can recharge with butane. It’s pretty inconspicuous – it comes with 5 little pods that you can pre-load in the chamber and you just use one hand. Then Lord Vaper didn’t want to stop there. He liked the artwork, so he decided that he wanted to do a Chief of Thrash merchandise line. There are shirts, cups, mousepads, and all kinds of cool stuff. The product is definitely not novelty, cheap stuff. It’s quality equipment and it really works great. Dead Rhetoric: Yeah, it sounds like there’s a real push for something that is quality, it’s not just some sort of endorsement just to move product. Billy: Yeah, he brought a bunch of products and the three we backed were really strong and built really well. Dead Rhetoric: What do you enjoy about being involved with something like this that veers out a bit from music? Billy: For me, it’s because I’m the stoner and I’m still the guy who likes to roll one up and burn a joint, but there are times when the vape is really handy: movie theater, basketball game, plane flight [laughs]. Somewhere that you can’t fire up. Those have been really convenient as far as vaporizing goes. The other positive thing about it is for medicinal use. I lost my sister in law about a year and a half ago to cancer. She was the type of person who never smoked and was born and raised with the idea of it being illegal. Her doctor had recommended trying it because she had problems with her appetite. My brother asked me to bring one over, the first edition, and showed her how to use it. When she did, it helped with her appetite. So one thing that opened my eyes up a lot was that for the novice user or for medicinal use, vaporizing is perfect. Not only is it more beneficial because you are burning the THC under much less heat. But I would imagine if a doctor recommended that a person who never smoked to try it that they are probably going to hack their brains out and have a miserable experience. Vaping is an easier way and doesn’t hit the lungs like a joint would. So it works great for people like that. Dead Rhetoric: Have you noticed a change in cultural attitude toward marijuana over the years? Billy: Oh yeah, big time. Especially because I live in a state that has legalized it. You can see how things have loosened up. Just among groups where people are hanging out. More people are trying it, like “Hey, it’s legal, let’s give it a shot. Why not?” I always run into people who are just kind of starting, just due to the legal aspect of it. Dead Rhetoric: What draws you towards something that is just starting out, business-wise? You got into vaping towards the beginning, and you’ve had other ventures with Breaking Bands. Billy: I’ve been doing music for 37 years, and you can’t always work music. You have to think outside the box sometimes, to make things happen and support/promote/back up things you believe in. These products here [The Chief line], I really believed in them. Anything I do or put our name behind, I believe in it first and foremost. Dead Rhetoric: Is there something about the shifting music industry that moves musicians towards getting involved with other avenues for income? Things like making a beer or something that still fits with the idea of a band? Billy: Yeah, it all depends. This is kind of my solo thing, so it’s not necessarily related to the band. But there’s always people who are coming to us and approaching us to do things like tequilas or wines. You have to find the right thing and the right products to back up or believe in. Dead Rhetoric: You are out with Slayer right now on their farewell tour. 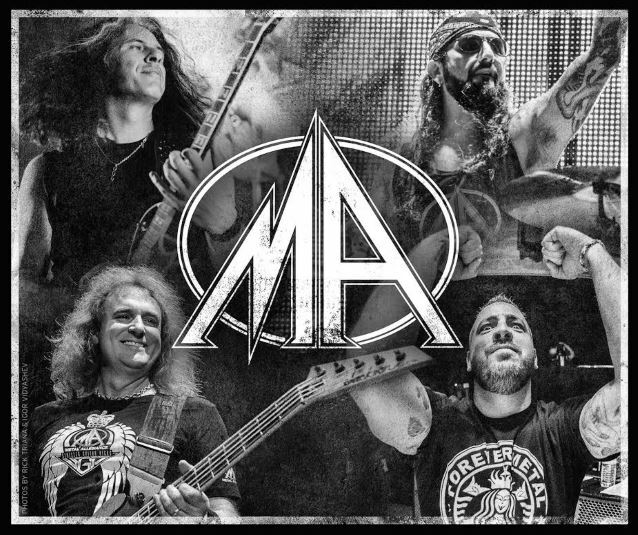 What do you see as the direction that metal needs to take as older bands are beginning to retire? Billy: There’s always going to be new and upcoming bands popping up here and there. It’s always going to be those bands that have music that stands the test of time. That’s tough to do and accomplish. It’s a whole new generation. I definitely see a younger fanbase of shows now, but there’s something maybe missing a little bit in terms of the way the show or performance production goes. We don’t have the big rock stars like when we were growing up – those kind of shows. There are bands coming up that do that, but not everyone is doing it. There’s something to that; the big shows aren’t happening is much as they used to. Dead Rhetoric: You’ve been pretty clear in recent interviews that Testament has no plans to retire anytime soon. But there’s also been a number of challenges you’ve gone through over the years, personally and with the band. Was there ever a point where you thought Testament wasn’t going to make it/continue? Billy: Well, I had that thought when I was ill with cancer back in 2001. That’s probably the only time that I looked in the mirror and didn’t recognize myself. I stepped away for a few years, and at that point, I think I thought it was over. Then we had a spark and a reunion. It brought a breath of fresh air back into the band. Dead Rhetoric: What defines thrash to you, and do you feel that it has evolved over the years? Billy: Yeah, there’s not too many places that you can go with it [laughs]. I would say that I like the bands that are still thrashing and carry it on with some melody, vocally. You can play fast as hell and scream loud as you can, but if you can’t catch the hook of the song, or the point they are trying to get across, it’s kind of pointless. Dead Rhetoric: What keeps Testament as a relevant force? As you were saying, you are seeing a lot of younger fans, and that’s not always the case as bands get older. Billy: We’ve been fortunate enough, because Eric [Peterson] has been a major songwriter for the group, and he doesn’t really follow any trends or listen to other metal and go, “Oh, I like that. I wish I could be like that.” Fortunately, for us, he’s never done that. So we’ve had our own identity and Eric’s had his own style. All of our records, we don’t know what it’s going to be until we start getting into the writing process. So I think in the last 3 records, things have gotten better: the writing, production, the playing is better than ever. We are writing the right songs at the right time. It’s all timing in this business. So those last 3 records, we’ve gained some new and younger fans, some that might not know our back history – but became fans with The Gathering through now – it’s kind of cool. It’s neat too seeing fans [go] back. Ones that saw you at a recent show and then they bought all the albums. They go and do some research on the band and dig into the early stuff. 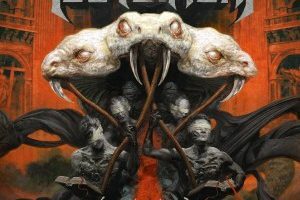 Dead Rhetoric: Do you feel like there was ever an album that you released that didn’t really get its due? Billy: The Gathering, for me. We put that record out with two labels that went bankrupt. We thought it was one of our best records, but the label folded in Europe, and in America. We never got paid anything for it. The great thing about it, was that we own the master recordings and we just licensed it. We got to take the recordings and get them out somewhere. Now it’s out on Nuclear Blast. That was a weird time. Dead Rhetoric: You mentioned a spark earlier. There has been some consistency in the Testament line-up in the last few years, does that make things easier as you continue to tour and write? Billy: We take time off to write, we don’t really do it on tour. But since we have been on tour, and all of us do it for a living. When we tour, we work hard. After the Slayer run, we are done. We aren’t booking anymore tours. We have a few shows, but no tours booked. Then we are going to start working on the new record. Dead Rhetoric: As an accomplished musician, is there anything you’d still like to do, either with Testament or personally? Billy: Outside of the band, I kind of put my foot into the voiceover world, trying to do some of that. To do something a little different outside of Testament.